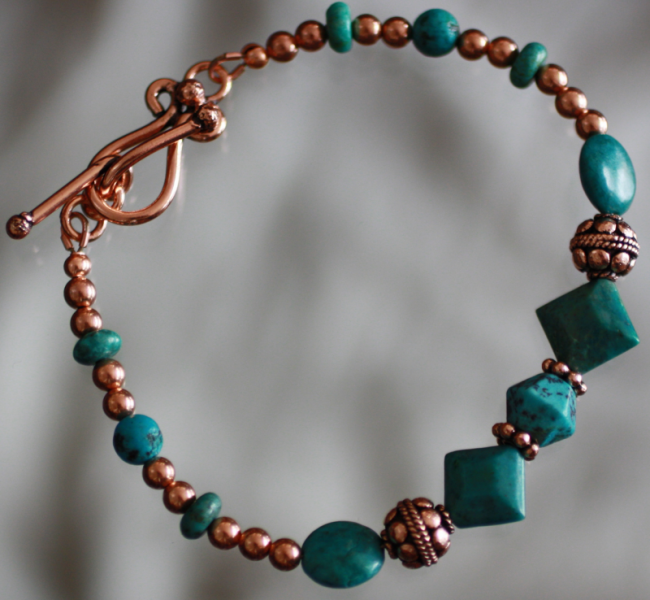 This beautiful bracelet features a combination of turquoise gemstone and genuine copper beads and spacers. The turquoise beads are in several shapes and sizes including a bicone, diamond, lentil, round and donut spacers. The bracelet has a unique copper toggle. This bracelet is approximately 7-3/4" in length. To check your bracelet size, measure your wrist across your wrist bones.